Public Domain Books Are a Huge Win For Society — Why Aren’t We Doing More With Them? Public Domain Books Are a Huge Win For Society — Why Aren’t We Doing More With Them? The 50,000+ books in the public domain are some of the most valuable intellectual assets of all time. It’s like the library of Alexandria, available digitally across the world to anybody with any kind of internet device. Thanks to Michael S. Hart’s Project Gutenberg, almost all public domain books have been digitized and stored as plain text. But that’s where we reach a weird endpoint for these great works: Raw text files, exported into multiple file formats, but containing little to no editing. Many digital books are incredible walls of text, hard for anybody to read. For example, here’s Plato’s Republic on Project Gutenberg. This isn’t necessarily a bad thing. Project Gutenberg is an archival project, focusing on accuracy of data that can then be used by anybody for any purpose. Dressing up the format at all would make it harder for others to “remix” the data in their own ways. What the world needs is a digital library of public domain books that focuses on usability, not raw data archiving. They need the layman’s version, where the ebooks are beautiful and easy to read. If public domain books are to get the airtime and respect they deserve, they need to be as good as the best versions for sale on Amazon. There’s no reason why a great ebook copy of Plato’s Republic should only be available for those with $9 to spare. It’s been in the public domain for thousands of years! And it’s not so hard to put together a good ebook. You need an artist/designer for the front cover, a digital layout designer to format the text, which can be done with excellent open source software, and… that’s about it. The role of an “editor” is minimal, since one will use the exact text provided by Project Gutenberg, who have already vetted it for accuracy. So if you’ve got a good cover and a good layout, that about covers it. Hosting would be trivial — it can be done for free on the LBRY blockchain, just to use one example. All it takes is somebody to step up and make the first book. There’s a lot that stands in-between now and a 50,000 book library of beautiful digital ebooks, but there’s very little standing between now and the first one. That’s why I am making the first book. I’m staring with Siddhartha by Herman Hesse, a beautiful meditation on mindfulness that I’d love more people to read. I’ll be hosting all the beautified public domain ebooks that I create via a channel on LBRY called “LBRY-Books”. They will be available via https at spee.ch or via the LBRY app, and since these ebooks will issued from day one into the public domain, anybody can re-host them anywhere else that they’d like. I’d like to thank the LBRY Fund at this time, as they are putting up several hundred dollars of LBC tokens to assist with making this first book. There will be some deeper issues to address in the near future. For the project to grow in scope and create hundreds of books per year, the creation of beautified public domain ebooks will need to become open source. My thinking and studying has begun on this. More information soon. I think the way to start is to just prove it’s a good idea by making a few ebooks available and seeing if thousands of people download them. 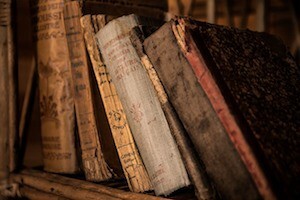 It makes sense to get a real digital library going, building upon the great success of Project Gutenberg by offering public domain ebooks that are as good as the best editions sold on Amazon. Making not only the information of great literature, but the experience, available for free for every person on earth. So let’s get started. Keep an eye on my Instagram or Twitter pages if you’d like to stay updated — or check out the LBRY desktop app and join the mailing list there.